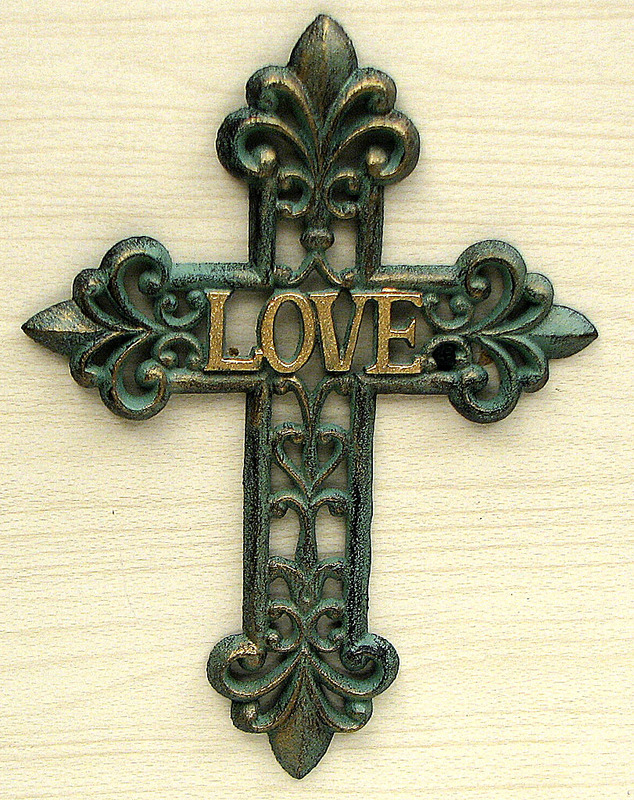 Measures: Cast iron elegant cross with green/gold patena, fleur de lis points, and the word "LOVE" across the center. Item priced single, to help volume buyers they come 4 per inner pack. 16 per case. Measures 8 5/8"W x 11 3/4"H x 3/8"D.